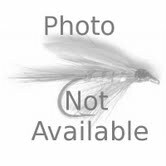 G. Loomis IMX Steelhead Side Drift Spinning Rod IMX 1163-2S STSDR A great feeling long-range spinning rod that is designed specifically for side-drifting. It's a nice, responsive rod with a slightly heavier line-rating (up to 12-pound test) for fishing year around, especially on the bigger western rivers. Even though it's designed to fish winter-run steelhead and big river summer-runs, it can handle all the smaller salmon species easily. IMX makes it about as sensitive as you can imagine and noticeably lighter... a plus in any angler's rod arsenal. A great feeling long-range spinning rod that is designed specifically for side-drifting. It's a nice, responsive rod with a slightly heavier line-rating (up to 12-pound test) for fishing year around, especially on the bigger western rivers. Even though it's designed to fish winter-run steelhead and big river summer-runs, it can handle all the smaller salmon species easily. IMX makes it about as sensitive as you can imagine and noticeably lighter... a plus in any angler's rod arsenal.